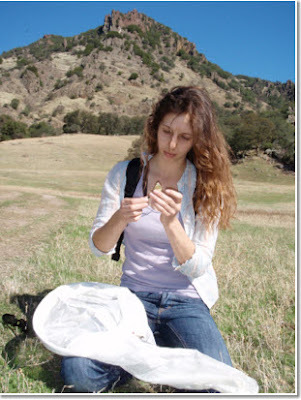 Recently, ButterflyCircle members played host to visiting PhD student Melissa Whitaker from the University of California, Davis. 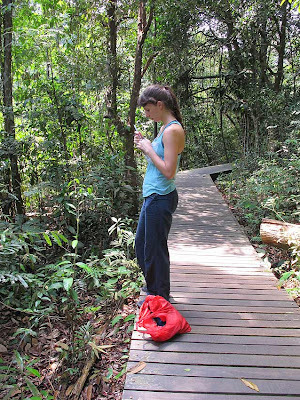 Melissa is on a Southeast Asian tour, visiting Indonesia, Malaysia, Singapore and Thailand on a quest for research material on myrmecophily (that's butterfly-ant association for us laymen!). She stopped by Singapore for only a day, unfortunately. But in her own words, "it was the most fruitful trip so far!" 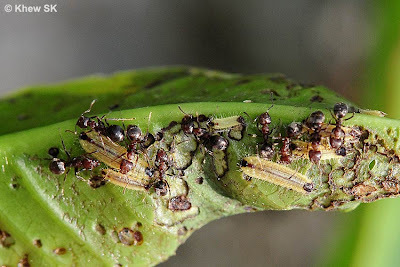 ButterflyCircle members Khew SK and Horace Tan showed Melissa around the nature reserves in Singapore and she was able to observe, first-hand, some Lycaenidae caterpillars and their ant guardians. 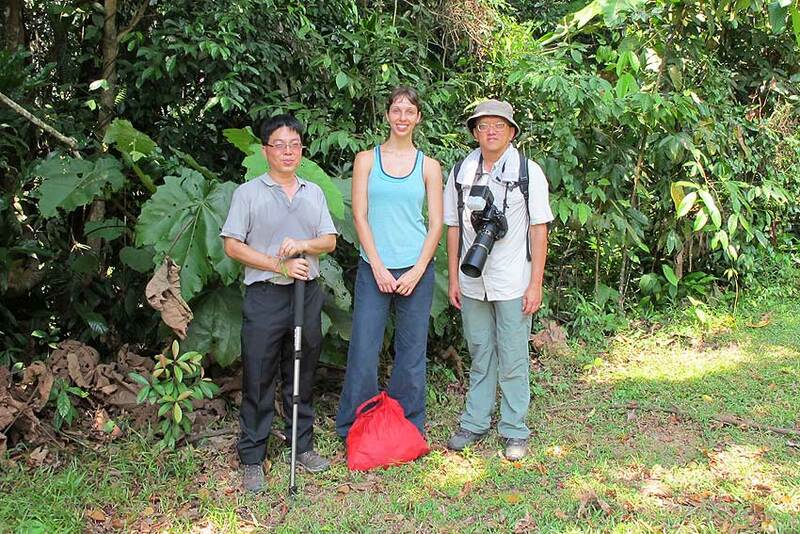 Melissa is on the final stretch of her thesis and is due to receive her Doctorate some time next year. Melissa's research interest, as she mentions on her website is "following in a long tradition of using butterflies to explore questions in ecology and evolution. I am particularly interested in the evolution and ecology of positive species interactions, and am using ants and lycaenid butterflies as a model system." 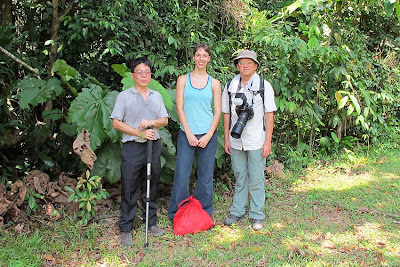 After Singapore, Melissa heads for the Cameron Highlands in Malaysia, and then off to Koh Samui, Thailand to meet Les Day, another ButterflyCircle member. 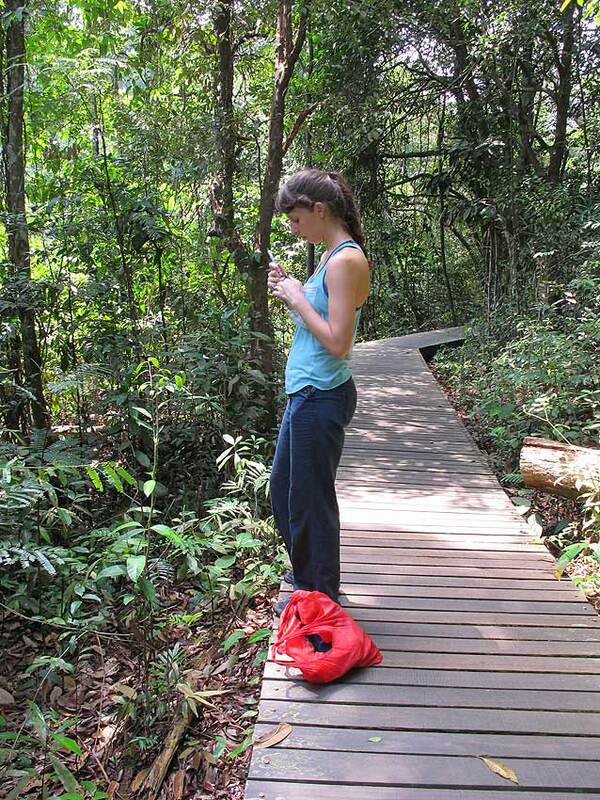 We wish Melissa all the best in her future endeavours and adventures in Southeast Asia, and hope that she will visit Singapore again and to share with us her knowledge of butterfly-ant relationships some time soon!